As a plant specialist I aid the archaeologist in understanding past lifeways by examining carbonized seed and wood remains left behind in heaths or middens by former occupants in the area. 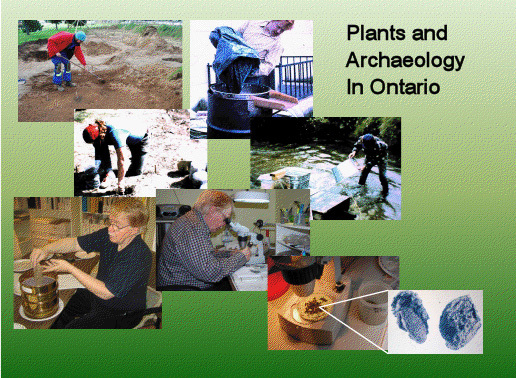 This presentation will illustrate how we, as archaeobotanists, go about collecting, recovering, and interpreting plant remains from archaeology sites. Archaeobotanical material from Archaic sites through to Late Woodland sites is discussed. Results of analysis of pre-contact and Euro-Canadian sites in southern Ontario sites are illustrated. This special presentation will be on Thursday, April 14, 2010 at 7:00 PM a the Huronia Museum.